The Victoria branch of Young Engineers Australia. 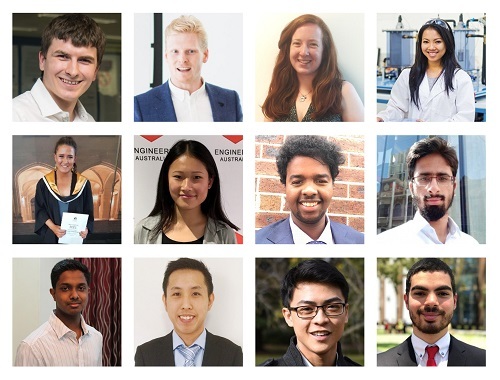 Young Engineers Australia (YEA) is a group within Engineers Australia, representing the 45,000 student and professional members under the age of 35 nationally. We are the voice for young engineers and are committed to facilitating academic, personal and professional development for our members, easing the transition from being a student to becoming a professional young engineer. The Victoria Division of YEA (YEA-V) includes students, associates, technologists, graduates and professionals from all engineering disciplines. The Victoria Committee organises various activities for members including panel sessions and seminars on topics relevant to young engineers, and social events to network with fellow young engineers. The Victorian Young Engineers Committee consists of the Chair, Vice Chair, National Representative, Secretary and seven General Committee Members. Elections of office-bearers are typically held in November and advertised on the Engineers Australia website. The elections are open to all Young Engineers with an active Engineers Australia membership and require a quick speech to the audience by each nominee followed by a vote. Student, Graduate and Professional Engineers Australia members in Victoria under the age of 35 are automatically enrolled as members of YEAV, with no action required apart from having an active Engineers Australia Membership. Access to Engineers Australia's Frontier Resource (for students and graduates). Keep an eye on the Engineers Australia Events Page, Facebook Page and LinkedIn Page for information about interesting upcoming events and opportunities in Victoria. If you are interested in joining the committee, becoming involved, or would like to contact the committee, please contact [email protected].